Peoples have always dreamed of not dying. The modern medicine has found that the human death occurs after the brain is dead. Let's imagine what would be if a brain does not die? Then, theoretically every man could live as much as he wants! Is that possible? Let us imagine the brain as a very large and too complex, but yet - a computer. Instead of transistors within, nerve cells or simply "neurons" working. Just to imagine a short time ago familiar and not so powerful desktop personal computer (according to the cybernetics terminology, "a computer with Neuymann architecture background "), but a specialized and super powerful neuro-computer (with so called "percipient architecture ", which does not even to be with so-called formal neurons but with the more complex bionic neurons, in other words, based on to the top near by of the most important functions models – the biological neurons of the brain). And what if it is created a complete and exact „digital copy” of all the brain neurons and of all connections between them? And what if it is created a computer model with all structures and functions of a brain? Then the whole information will be retained and later - reproduced. But it is going to happen through another "substratum", i.e. on the other "material carrier of information." It will be, for example silica or graphite. And will be more reliable than the biological and mortal protein-nucleic carrier. And it will be more productive than the biological ionic- electrochemical one. And it will be, for example, electronic, photonic or even quantum! The high techs of the 21st century already allowed this! It just needed know-"how". This means that first have to create a new science – a science for achieving of a "digital immortality." And It has already founded - In Russia - in the late 20th century. The author named it „Settleretics”. Later on the ground of the latest new science achievements it will be possible also to create the new settleretic technology and as well the new settleretic equipment. 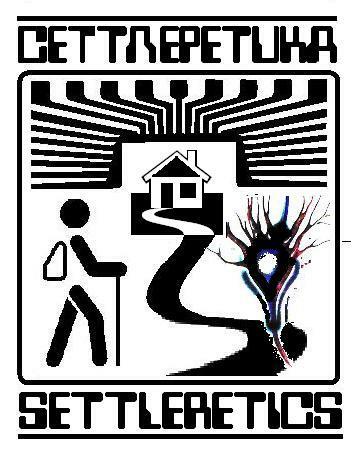 And so/Hence, what „Settlerethics” signify? SETTLERETICS (calka from English. «settler» - «migrant», «resettlement» - «transmigration") -A new interdisciplinary science of a nerve-cybernetic duplication, creation of a backup structures and functions of neuro-tissue in a human brain in order to ensure an endless duration working of its supreme neuro activity. 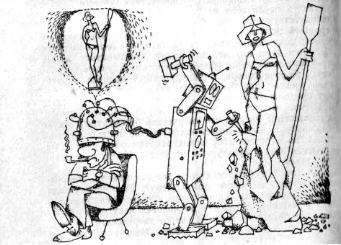 The science of the so called „Transfer *” of the human psyche, "from" the mortal biological brain „into” the immortal, artificial "neurocomputer brain." * Author's note. The term "Resettlement / transfer" in this context is to be understood under condition as allegory, figurative metaphor and that is the reason it is given in quotes. (There is no relation with the understanding for the supernatural, religious and mystical "soul reincarnation"! Most likely, with the exception of the eternal and universal humanity dream of the human immortality and consciousness). Actually during the „settleretic transfer" a "telecommunication" is been flowing (i.e. permanent exchange of linear information) between the main (brain) and the backup (artificial neural brain), cybernetic devices and the related material carriers. Thereby it becomes through material „channels of communication" between them. How the „transfer” becomes indeed? Don’t we get just another duplicate/copy? No, we will not! Provided all the work is done in the right way and strictly following the settleretics technology. Slow and gradually neuron by neuron throughout the whole man life. The more neurons in the brain have dyed of old age, injuries and diseases, the more functions will take instead of them the „neuro-prosthesis”, the backup neuro-computer. At the time when hundred percent of the brain neurons ceased to function, their mental structures and functions will be provided at 100 percent with the backup neuro-computer. The backup device will turn to basic one and the psyche figuratively speaking will be "transferred" into the neuro-computer. And then - forward and upward to the deep space to the distant stars! Well to colonize and settle uncultivated lands and lifeless worlds. Without fear and "in our new immortal cyborgs’ bodies", neither cosmic radiation or temperature and vacuum, nor overload and weightlessness can be an obstacle! We will forget about the biological, psychological or social and economic inequality. However, if we have frightened by the new and continue to stick pins on our long-outdated and decrepit bodies and brains of primates (monkeys), we take the risk to lose! Take risk to perish together with the mother Earth - the whole humanity at once. All this may happen because of accidental planetary catastrophe - cosmic, earth or technological. This site is dedicated to the described new science, to its problems, successes and prospects for the creation of a new technology and technical devices related to "transfer"! (C) Fig. K. Moshkin from the book of G. B. Maksimovic "Talks with Academician Glushkov" (M.: Molodaya Gvardiya, 1978.